Yes finally! 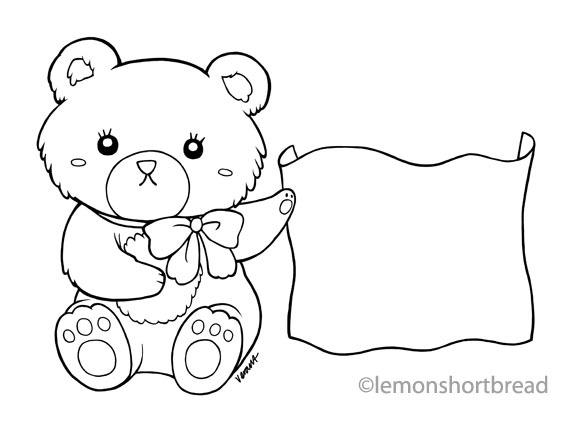 All Lemon Shortbread digi stamps in my Etsy shop are now updated with both JPG and PNG formats! The PNGs are not fully transparent, but with transparent backgrounds and white on the lineart, so you can layer on other custom elements in the computer without the lines overlapping. I spent a few days non-stop converting the images into PNGs and boy were there many!! 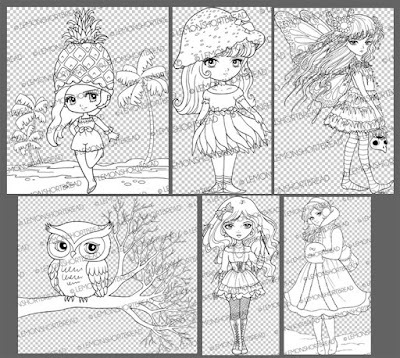 If you have previously purchased digi stamps from my Etsy shop, you can request for the PNG version at no additional charge. Just send me a convo under your "Purchases & Reviews" and click "Contact the Shop". I will need your email address to send the images to. 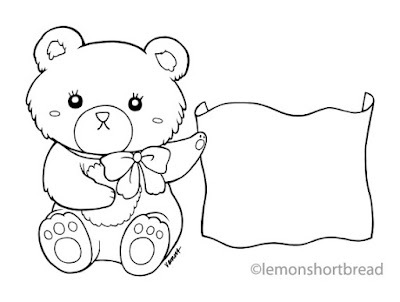 Also I have a new freebie digistamp called 'Teddybear Banner'. 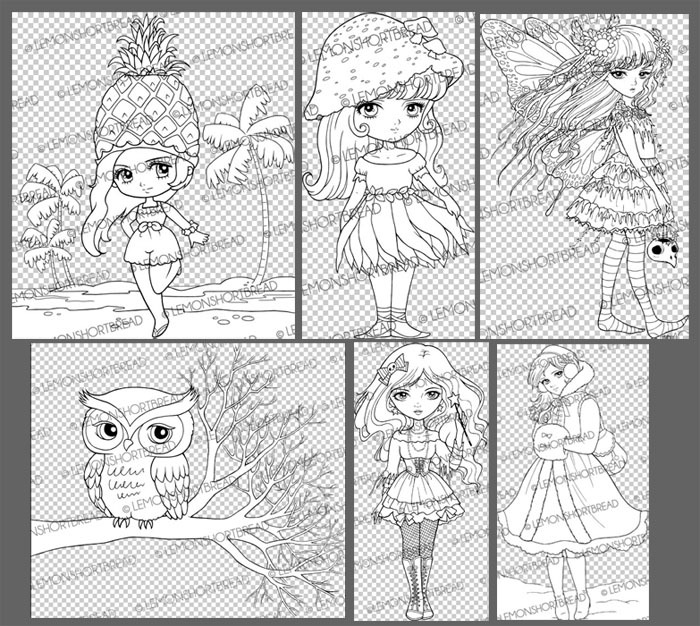 You can join my Lemon Shortbread Facebook Group for the latest free digi stamp updates and easily download it there. 4.8 inches width, 300dpi jpg format. Enjoy! - Commercial use or for sale is not allowed. - Watermark is not on the actual digital stamp. - Please keep the signature on the image, if you have to trim off the signature, a credit/ link is much appreciated. - Please do not share this image without a watermark on it. - If your friends like it, please ask them to join the Facebook group or direct them to this blogpost so they can read the Terms & Conditions. - Freebie is available for an unlimited time, but just in case it is removed, please do not freely share/ distribute the file with non-members or other sites. Wow! The teddie bear banner is so cute. I do not think I have seen a more adorable banner. Great work and the digistamps have come great too.